Print one of our large leaf templates on to the card. 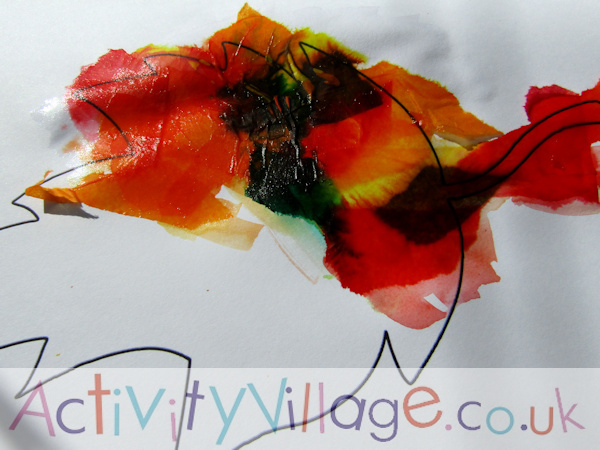 Rip some yellow, orange, red, brown and green art tissue paper into small pieces. Tissue paper ripped up and ready! Paint part of the leaf template with water and stick on the tissue paper, adding lots more water over the top to make sure the tissue paper is stuck down. 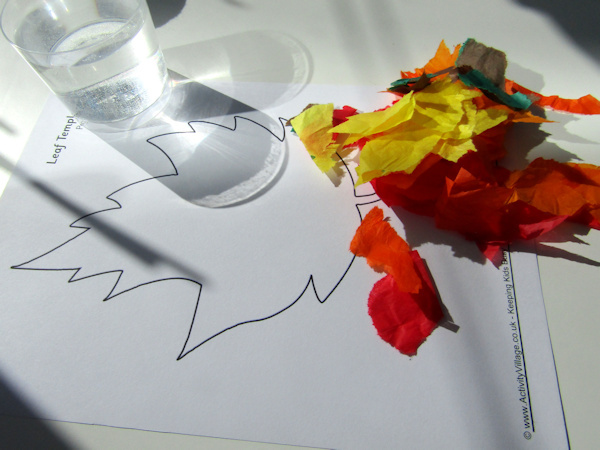 Keep adding more water and tissue paper until the leaf is covered. Leave to dry. When the tissue paper dries, it peels off easily leaving a lovely mix of colours, which will fade a bit too. 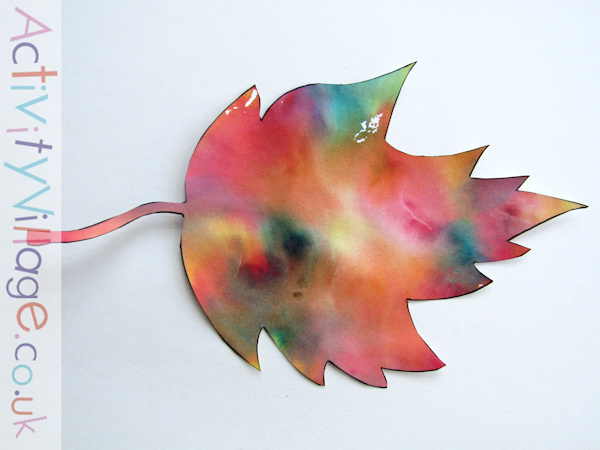 To finish, cut out the leaf. Scrunching tissue paper and sticking it always appeals to little kids, and you get a lovely textural result to put on display. 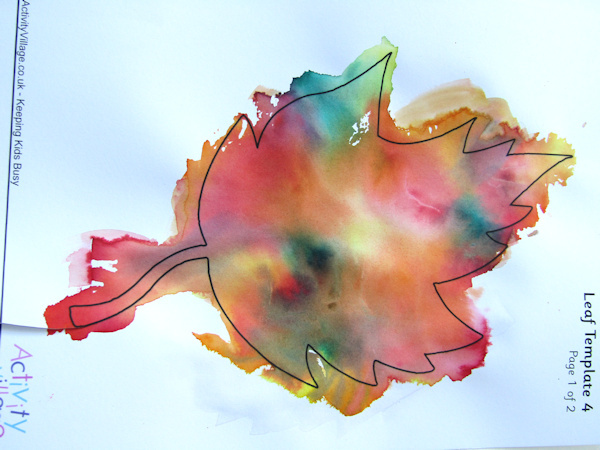 It's possibly not so easy to see the shape of our autumn leaf in this picture, but the colours are lovely!